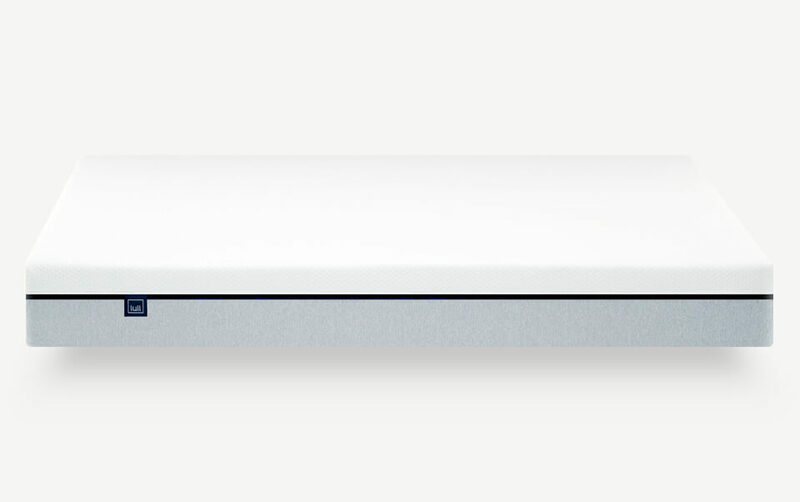 The Lull mattress is a new and uniquely designed mattress sold exclusively online. The mattress has a top layer of memory foam, then a second layer of latex-like foam, making for a very interesting (and comfortable) feel. I slept on the Lull mattress for about a week and really enjoyed the experience. I’m mostly a side sleeper (with the occasional stomach thrown in) and the mattress left me sleeping well all night. It feels like a memory foam mattress, but it’s pretty easy to move around and shift positions. My wife actually liked it even more than I did, so it might be one that sticks around for a while. The big takeaway was the comfort, it’s really nice for a side sleeper especially. It offers good support, but isn’t too soft like some mattresses, so I didn’t get sore or tense muscles throughout the night. Personally I really don’t have any serious complaints. It has the same drawback as the other online-only mattresses, like you can’t try it out in stores and whatnot. They’re also a very new company, so there aren’t too many reviews from sleepers of varying preferences. I tried the mattress out in the New York late fall, so it’s not a great test for sleeping hot. That being said, I had no issue with it at all, and they did design it very intentionally, so I wouldn’t anticipate a problem in most normal climates. If you’re looking at Lull, you may also be looking at Tempurpedic. They have pretty similar feels, but Lull actually has a bit more spring than your average Tempurpedic. The most direct comparison in terms of specs and quality would come in at a lower-end Tempurpedic (priced around $2500). So it may not have a lot of the features or zing of a high end Tempurpedic, but at this price for this quality, it’s a steal. The Lull mattress is definitely one of the better ones that I have tried. It’s very comfortable and feels like quality, definitely on the high end when compared to the other online mattress options. Let me know if you have any follow-up questions in the comments!